This week we welcomed a great group of lads from the West Midlands. Dad Steve was fishing along with his son Dave and Dave’s two lads would be float fishing for roach. Dave’s mate Anthony joined them and his son was also up for some roach bashing. After sampling other French venues, everyone was very happy with this year’s choice. On the walk around we spooked big fish from the margins which set everyone hearts racing and after a quick chat we left them to settle into their new home for the week. 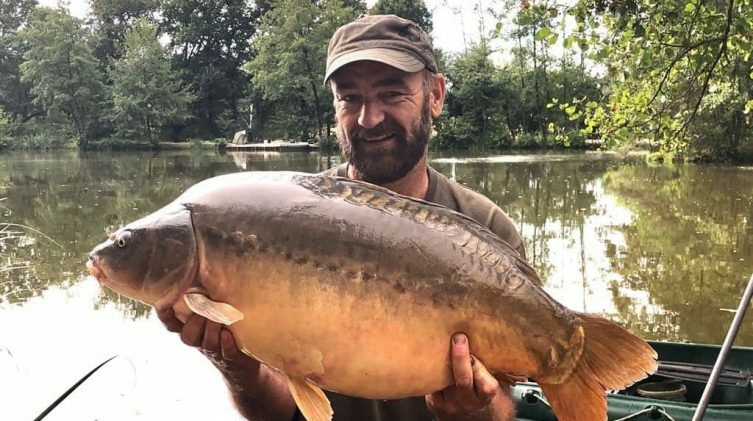 David and Anthony are both experienced carpers but they have been taking their fishing more and more seriously and targeting harder waters in their pursuit of better specimens. In order to get the most out of this session and to help them up their game back home they’d booked a day’s tuition which as usual started on Sunday morning. Dad Steve is the least experienced carper of the group but he is an experienced match man. This would only be his third proper carp fishing session. When I arrived Sunday morning for the tutorial, only one single figure carp had been banked but they’d had plenty of beeps! 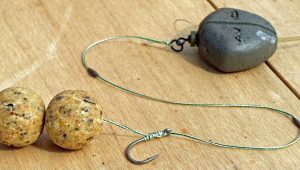 Steve and Dave had gone with our rigs and bait which always makes things easy while Anthony was tying his own rigs and using his own baits. As soon as I clocked the tight lines running across the shallow water it was easy to see why very little had been out! As usual I started at the beginning with some basic knots, some of which they were familiar with, others not. 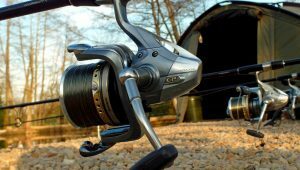 We then focused on getting all their rods properly setup to tackle the venue which is something many newcomers struggle to get to grips with, which is why we recommend all new groups to book a tutorial. By the time I’d finished, I’d completely changed how they were fishing and they could see exactly how and why it was going to work. Dave was very keen to better understand the hook sharpening process. 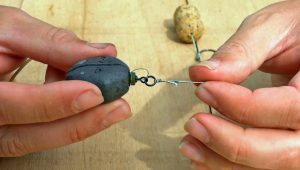 This is a great skill to master but unless you do you could end up making the hooks worse than they were when they came out the packet. The first challenge is to master the art of inspecting the hooks with an eye loupe to see exactly how good they actually are. Stabbing them in your finger tells you nothing. Even fresh from the packet, not every one will be perfect. Again this week I was particularly impressed by the new Claws from the Nash pinpoint range. 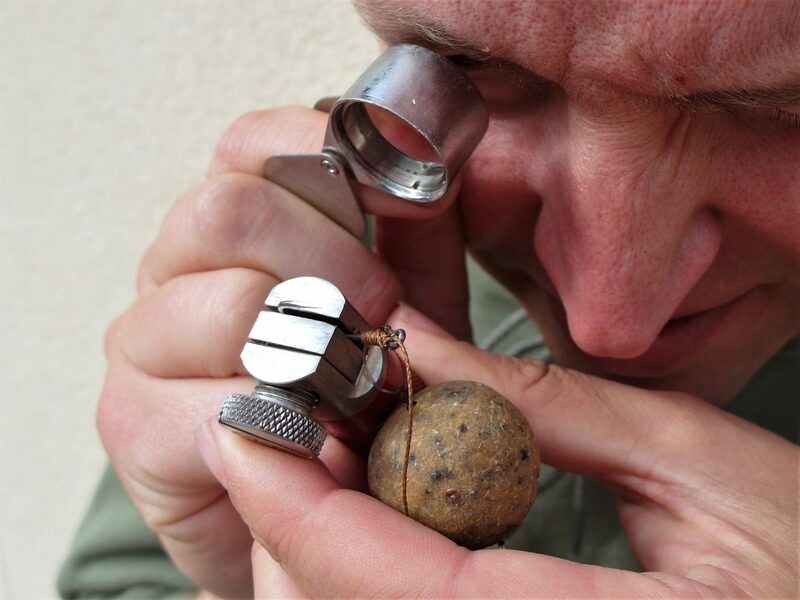 No need to touch these really, just check them with the loupe, tie them on, catch carp! 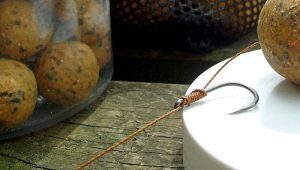 After some practice the boys had made some progress with their hook sharpening skills but it takes a huge amount of practice to get it spot on so I recommended sticking with a fresh hook every chuck (catch or blank!). The guys showed plenty of enthusiasm for learning and really cracked on with the vital prep work during the tutorial. This left enough time for me to take them on a guided tour of their swims and then supervise dropping every rig for the 2nd night. With everything set as good as it could be it was not a question of if but when the first carp and cats would be landed! On Tuesday, Steve gave me the good news … carp and some good-un’s too. Steve had banked two upper twenties, and mid thirty and a 40lb common…. get in! He’d also had an epic battle with a massive catfish that eventually cut him off on the island. Dave had hauled a massive catfish into the edge which was too big to haul up on the bank so no photo or official weight. We settled for a guestimate of 80lbs… nice! He’d also banked a mid twenty. 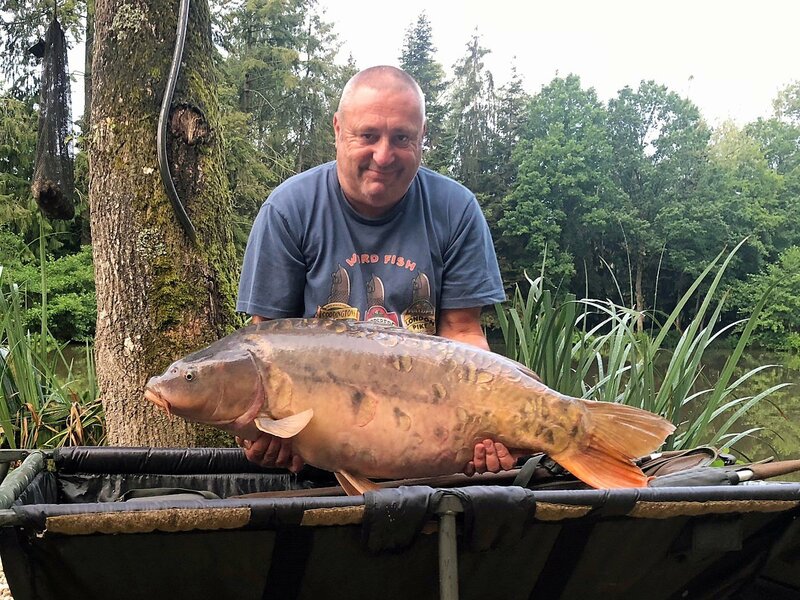 Antony had also be run ragged by a massive cat that he hooked from point’A’, charged through point ‘B’ and then wiped out Steve’s rods in point ‘C’ only for the hook to fall out… he was gutted but that’s Beausoleil for you… it isn’t easy! 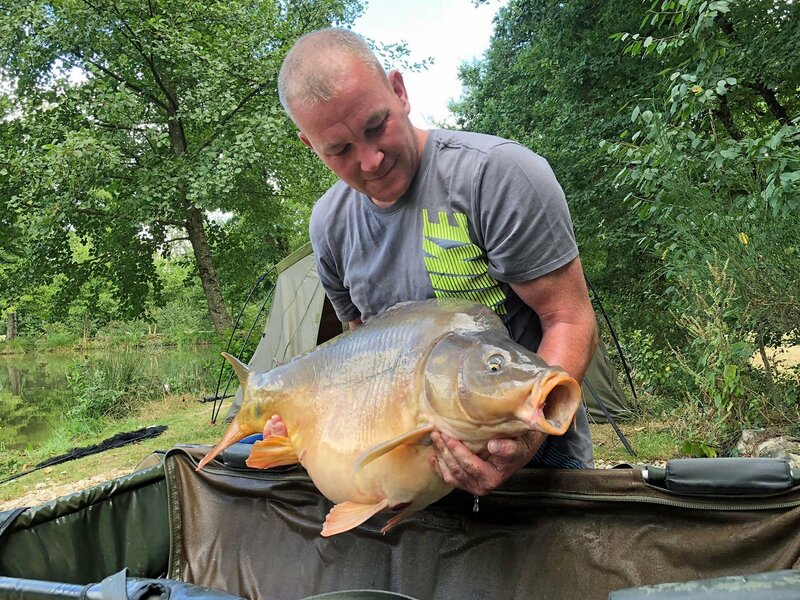 With lump after lump crashing in catfish corner, the Big Double was an obvious move for Antony as all he’d managed was a couple of single figure carp. You can have the sharpest hooks in the world but if you’re not on the fish then you’re wasting your time. 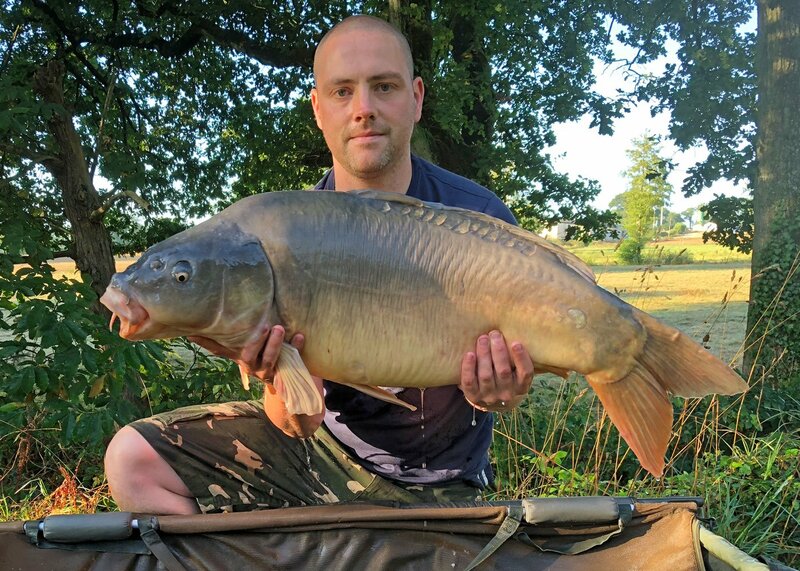 Antony had got it spot on and over the next few nights banked two low thirties and a new lake record when Mr. Angry span the scales to 44lbs! Talk about making the right move at the right time! Antony was buzzing when we saw him and told me that the tutorial had really paid off. On the catfish front, again they proved very difficult to tame this week. Everyone connected with a monster but only Dave came within touching distance of actually getting one properly on the bank. 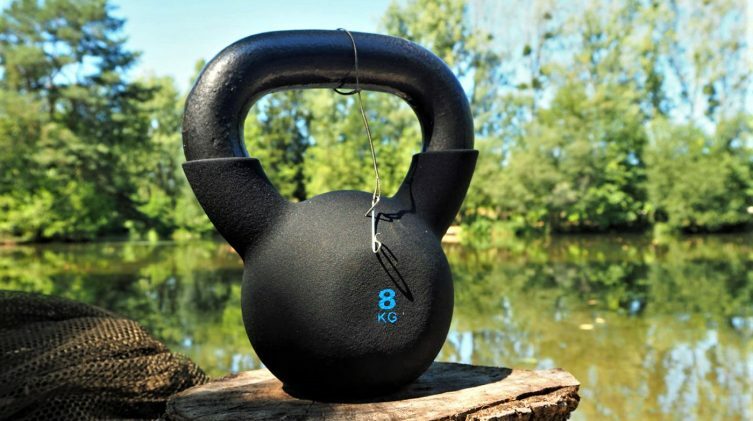 The guys performed the 8kg KBT (kettle bell test) religiously and all mainline knots survived but there’s not much you can do when a catfish drags you round the end of the island at night as happened to Steve twice! Dave hooked another monster that headed for snake bank and got into a hole along it. Anthony loaded him into the boat and went in pursuit. He burned some serious calories as he tried in vain to row against the beast. Three times they pulled it out and three times it got back in. In the end the hook pulled and it was a case of so near yet so far. They loved the experience though and despite the pain they really wanted to hook another! It really is fun for all the family at Beausoleil. While the grownups worked hard to bank some proper specimens, the boys played endless games of pool and caught countless roach on telescopic whips. There’s also plenty of space for a good kick around on the lawn and the days just flew by for them. 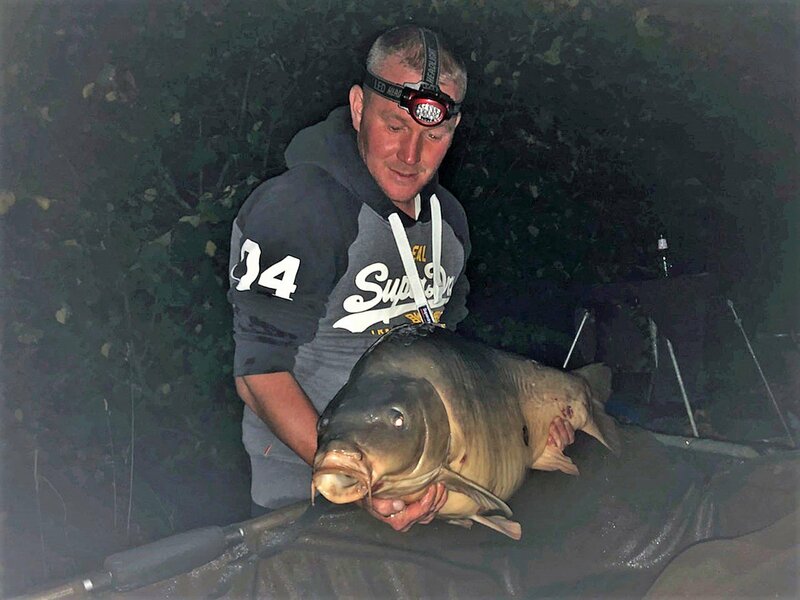 Down in Island point, Dave had a bit of a slow start and by Thursday he’d still only banked one carp and one good catfish. He’d been working hard at his fishing so the results weren’t for a lack of trying. On Friday morning he banked what he’d really come for: a high quality pristine low thirty! Determined to finish strong he kept working the spots and also had a mint mid twenty on Friday afternoon. We were delighted for him as he really deserved a nice carp from the trip. The boys loved their week with us and have promised us that they’ll be back for another crack at them.